This is my first set of travel invitation blog posts on a recent trip to Shrajah via airline partner Air Arabia. It was my first time flying with Air Arabia and I was quite looking forward to the experience. The online checkin opened about 12 hours prior to the flight and I chose a window seat and at the airport at Bangalore or Bengaluru, the counter staff gave me an option of a better seat by offering the reclinable emergency seats that had more leg room that I gladly accepted. The best part is that the airline offers 30 kg of checkin and 10 kg of hand baggage so the shopaholic in me was already rejoicing. And soon after it was time to take off and after settling into my seat, I started browsing through the magazines available – helpfully placed in a separate section above the seat pocket. 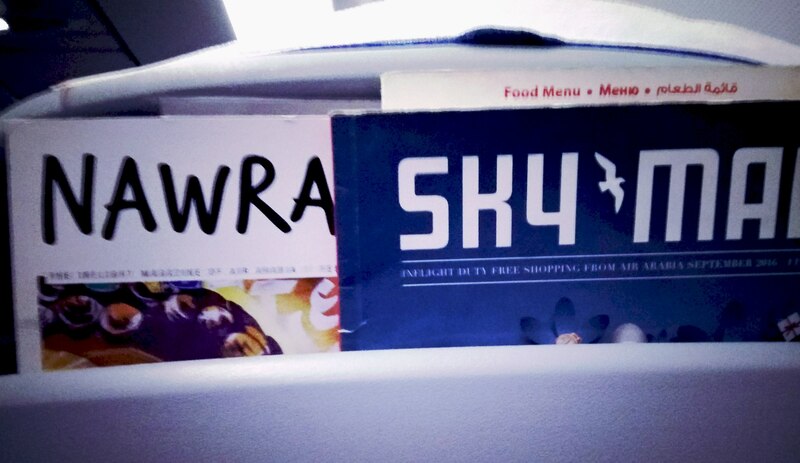 The inflight magazine Nawras, duty free shopping magazine Sky Mall and the on board menu Sky Cafe are great options as I settle into my seat. All the safety announcements on the flight happen via a small screen that pops down and the best part the entire sequence is shown by cute looking kids! Quite an idea for sure. Post the announcement, a small travel prayer is recited in Arabic and translated in English on screen, a thoughtful gesture that quite charmed me. The flight soon took off on time and the captain announced the flight duration and also gave us an update as promised prior to descent. My meals were pre booked on both my onward and return flights and that worked well as I am vegetarian and the masala dosa with hot coffee was a God send to kill my hunger pangs. Likewise the vegetable biryani was quite a life saver on the return flight after a hard day of shopping and sight seeing. This apart the airline offers you a web site that is robust and allows you to customize your flight by choosing your seat, meals, baggage limits as well as insurance apart from of course the best available deals on various sectors they fly to. On board you can also contribute to the airline’s corporate social responsibility (CSR) program for sustainable development that helps better education and healthcare for under privileged communities. The first budget airline carrier in the Middle East and North Africa, Air Arabia has excellent connections from various destinations in India to Sharjah and further on. 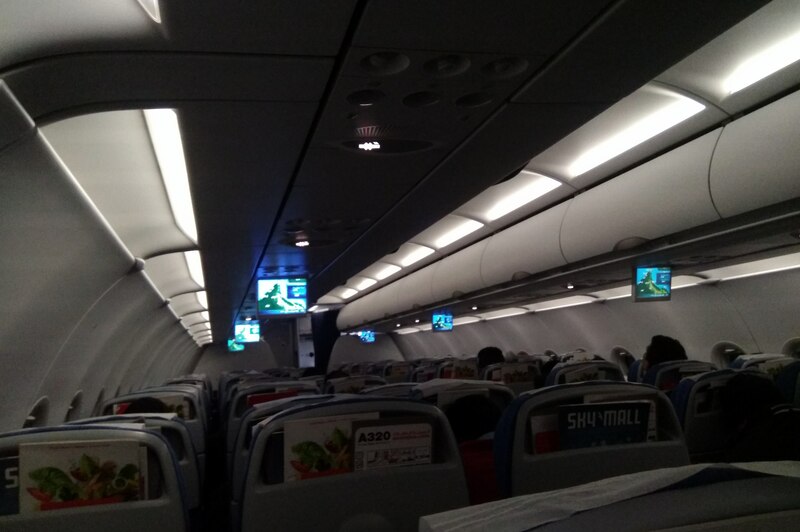 A fellow traveller from Goa commented rightfully that she was glad to have a direct flight to Sharjah as she finally felt great to fly abroad without using connecting flights through other cities. Which is really in a nutshell the experience I had too. Convenient, economical and efficient – this is why Air Arabia must be your next airline choice. So fasten your seat belts and stay tuned to read more on my experiences at Sharjah and its delightfully unique Light Festival. Coming Soon: My experiences in Sharjah and at the Sharjah Light Festival. This post has been possible through Sharjah Tourism and Air Arabia.